NEW SHA HISTORIC BOTTLE IDENTIFICATION BOOK! Schulz, Peter D., Rebecca Allen, Bill Lindsey, and Jeanette K. Schulz, Editors. 2016. 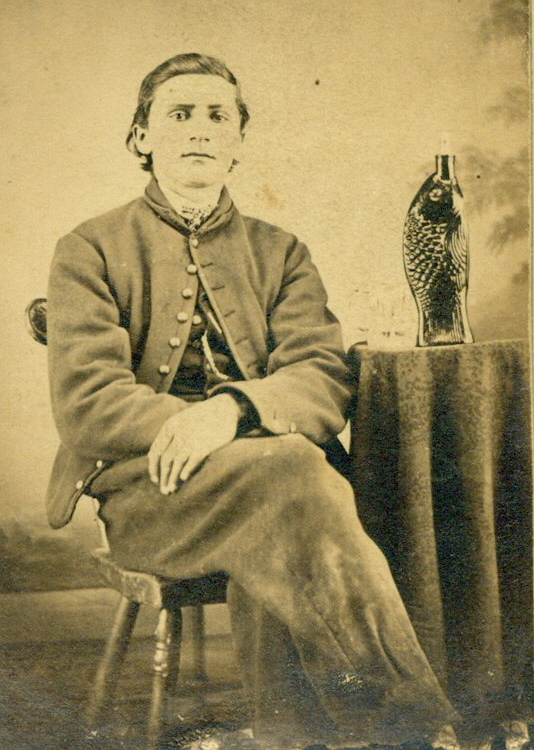 Baffle Marks and Pontil Scars: A Reader on Historic Bottle Identification. Society for Historical Archaeology, Special Publication Series No. 12, Germantown, MD. This huge (555 pages), recently released work is one of the best "bottle books" there is for helping with the complicated subject of bottle identification. This book includes - for the first time in print - a summary of this websites (Historic Glass Bottle Identification & Information Website) bottle dating key as a chapter entitled "Summary Guide to Dating Bottles" by this author (pages 33 to 49). It also includes "Bottle Dating Worksheets" (pages 51 to 55) by Rebecca Allen and this author to assist in the systematic dating of an historic bottle based on the information in that dating key as well as other information on the website. In part, this book fulfills this authors long time desire to have a hard copy "field guide" version of this website for use by archaeologists (and others) by having at least the dating portions available in printed form to take to the field. Beyond that the book includes more information about historic bottle identification (typology), bottle production, and more than can be summarized here. The book is available at www.lulu.com - search for "Baffle Marks and Pontil Scars." The book is available softbound with either black and white or full color images. It is also available as a downloadable PDF file. All proceeds from sale of this book go directly to benefit the work of the Society for Historical Archaeology! Makers Markings Logo Tables - A major milestone in assisting with the dating of historic bottles is the completion of the "Makers Markings Logo Tables" by the BRG. 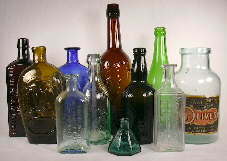 This alphabetical listing of specific embossed bottle/glass makers markings includes the marks used by various bottle/glass making companies in the United States and Canada as well as some in England and Mexico. The actual makers marking "logos" are listed along with the name of the company that used the marking, the date range for the use of that marking, and the makers marking article(s) that cover that particular marking and maker. These tables taken as a whole constitute essentially a "quick reference" dating guide to the makers markings found on historic bottles! Questions pertaining to the products of the Owens-Illinois Glass Co. outnumber many fold the questions this websites' author receives about any other particular glass/bottle maker. The previous article(s) on the company posted on this website have also received significantly more user downloads than any other makers marking article. Lockhart, Bill, Russ Hoenig, Beau Schriever, Bill Lindsey and Carol Serr. 2018t. Owens-Illinois Glass Co. Part 1 - History. Historic Glass Bottle Identification & Information Website, E-published October 2018. This is an in-depth overview of the history of this important 20th and still currently operating company, including the myriad of plants the company used and still use. This article is available at the following link: Owens-Illinois Glass Company Part 1 - History. Lockhart, Bill and Russ Hoenig. 2018u. Owens-Illinois Glass Company Part 2 - The Bewildering Array of Owens-Illinois Glass Co. Logos and Codes. Historic Glass Bottle Identification & Information Website, E-published October 2018. (Note: Russ Hoenig is a now retired senior engineer of the Owens-Illinois Glass Co. and a rich source of information. Thanks Russ!) This is an important and substantive update that goes further in explaining the array of markings used by the company on its products over the past 90 years. This article is available at the following link: Owens-Illinois Glass Company Part 2 - Logos & Codes. The following articles are on very commonly encountered bottles - Pitcher's/Fletcher's Castoria, Bromo-Seltzer's, Vaseline, California Fig Syrup, and Phillips Milk of Magnesia - which are useful to archaeologists (and others) due to that ubiquity in that the many different varieties of bottles used for the products can be reliably dated (within ranges). This potentially allows for the dating of other historic bottles and items found within the same context. ...possibly more to come in the future. Lockhart, Bill, Pete Schulz and Al Morin. 2017. Milk Bottle Seals - The Other Manufacturer's Marks. Privately e-published by Bill Lockhart. "Milk bottle seals" were an embossed designation on milk bottles during the first half of the 20th century which were required by several states as affirmation or guarantee of a standardized measure for the contents. They are useful for the dating of milk bottles, especially in hand with the glass makers markings. This fully illustrated e-book is now available ONLY ON THIS WEBSITE as a series of copyrighted (2017) pdf files which may be printed out to make your own book for no cost...thanks Bill! 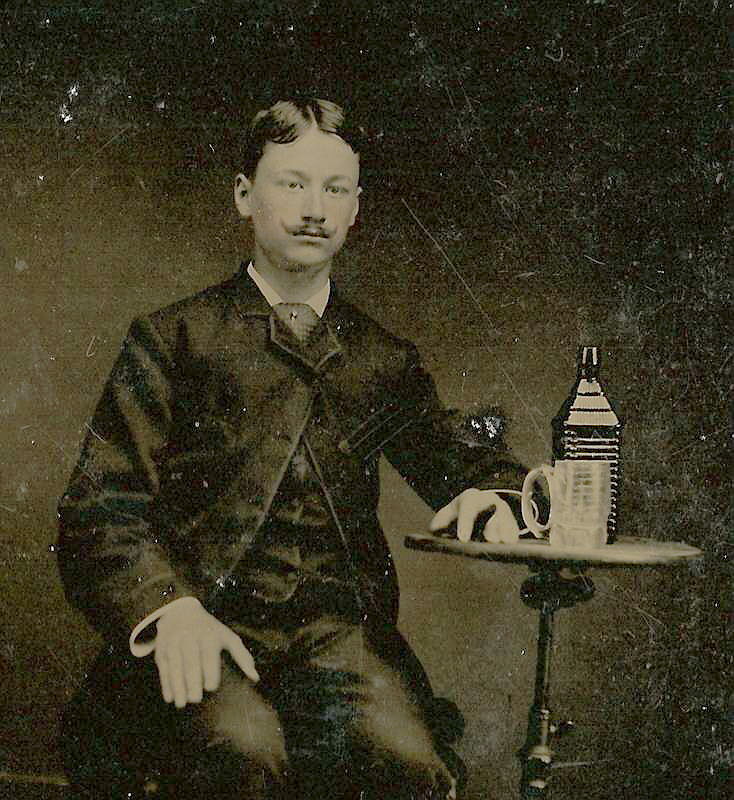 Another significant addition to this website, which will be ongoing for some time, is the inclusion of a series of articles primarily authored by Bill Lockhart on the early bottle making machines from the very late 1800s to the first couple decades of the 20th century. These are highly informative, interesting and well illustrated articles on the early days of bottle making automation! ...possibly more to come in the future! -Noted soda bottle researcher Ron Fowler recently completed a website that includes a searchable database of over 20,000 different embossed Hutchinson soda bottles that he has cataloged, including images of thousands of them. It is available a this link: http://www.hutchbook.com This website is a marvelous resource for those trying to identify soda bottles and fragments as well as so much more. -In late 2011, a truly monumental work of note was published for those interested in historic bottles. Published by the Illinois State Archaeological Survey it is entitled Bottled in Illinois - Embossed Bottles and Bottled Products of Early Illinois Merchants from Chicago to Cairo 1840-1880. Click Bottled in Illinois to read more about this book and for how to acquire it. Burton, David with research by Christopher Mortimer. 2015. 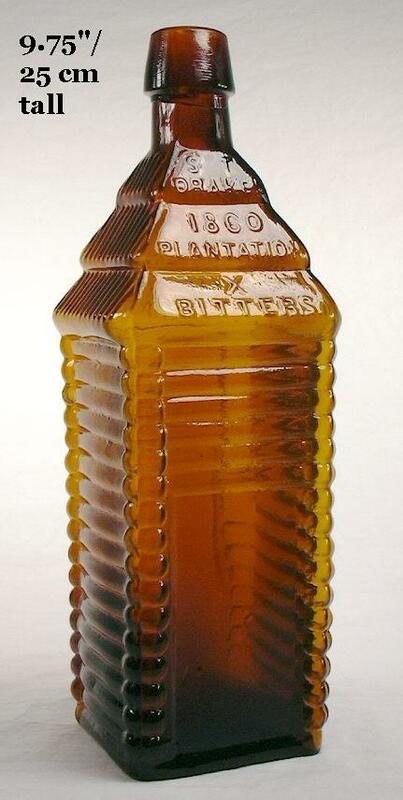 Antique Sealed Bottles - 1640-1900 - and the families who owned them. Antique Collectors Club Ltd., Woodbridge, Suffolk, England. This a very recent, incredibly comprehensive and massive (3 volumes, 1711 pages, and about 20 pounds!) work on the sealed bottles of the world, which were primarily the products of English, Continental and American glass makers. Thousands of high quality color images and a wealth of historical information that is almost unbelievable in scope. Highly recommended for anyone interested in the legend, lore and history of sealed bottles...and anyone interested in a work on historic bottles that stands head and shoulders above the rest. This work is obviously the authors life work (Mortimer died in 2008).